Let me start by saying that I'm not much of the pill organizer type. I don't tend to forget to take medication—it's routine. I've downloaded trendy pill reminder apps with beautiful graphics, but I've always ended up abandoning them, because they aren't needed and end up just being another phone notification to dismiss. 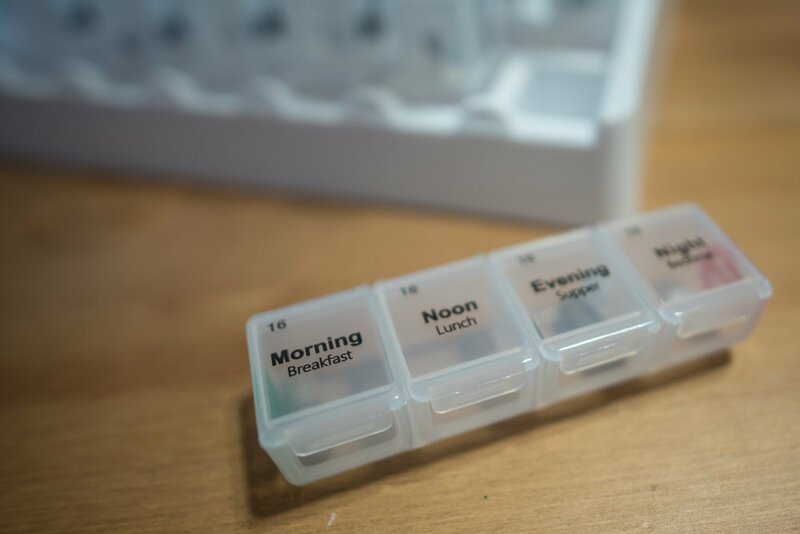 And when it comes to pill organizers, they tend to feel like a waste of time; I'm supposed to transfer my pills from their prescription containers to another container before taking? Why the extra step? But this Walgreens-brand pill organizer makes sense for my lifestyle. Let me share with you some of the features that convinced me that an extra step can be worthwhile. 1. It fits 124 doses of medication. Each removable day contains four roomy compartments: morning (breakfast), noon (lunch), evening (supper), and night (bedtime). 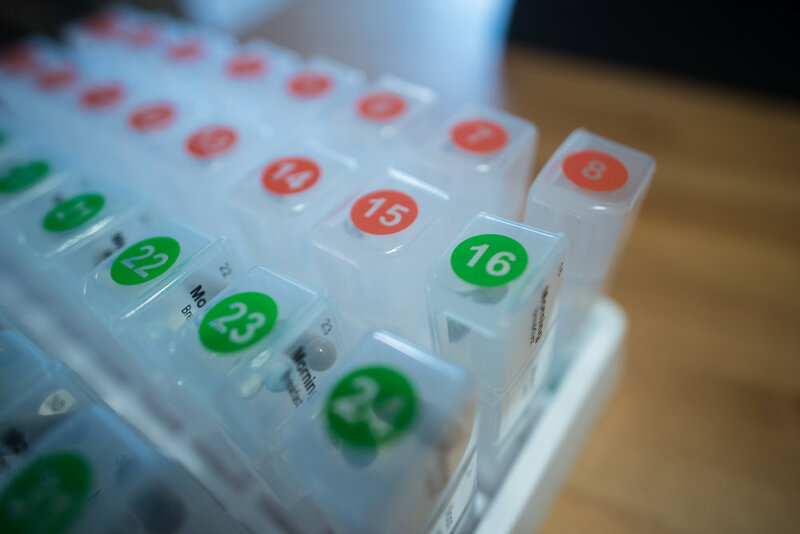 The whole organizer allows you to portion out a month's worth of medicine. As you complete each day, you can flip the individual organizer to indicate that the day is through. It's like having an old-school calendar and crossing off the days, and it's as satisfying as checking off items on a to-do list. This one is so important to me. As someone who frequently takes day trips to the mountains or overnight backpacking trips, I need something convenient for travel. Also, I typically remove my daily doses from their bottles to travel anyway in order to have less bulk to pack. With this system, I can grab the individual organizers corresponding to the days of my travel (and an extra day or two in case of road closures or other delays in returning) and be on my way. Medications that come in opaque bottles and have short expiration dates (less than a year) should probably be kept out of long-term organizers such as this one. I would not want to put a sun-sensitive medication in a clear compartment for so many days. For medicines like that, I recommend keeping them in their original bottle.